Join Shiksha, Get High Score in IELTS – Contact Us Now! The International English Language Testing System or IELTS™ Exam is an internationally recognized test of English language proficiency. It is accepted by most institutions in the UK, Australia and New Zealand, and many institutions in the United States (USA) as a test of English language abilities of admission applicants from non-English speaking countries. The IELTS™ score is accepted by various professional organizations across about 140 countries in the world. It is also recognized by the immigration authorities of Australia, New Zealand, UK and Canada. Shiksha coaching classes has successfully prepared many students for IELTS™ enrolling from Ahmedabad and all over India. IELTS™ Academic is required by non-native English speaking students proposing to undertake higher students like graduate/post-graduate education in an English speaking country, e.g. the UK, Australia, New Zealand, Canada and the United States. It is also required by professionals such as medical doctors and nurses who want to study or practice in an English-speaking country. The IELTS™ General Training version is for those non-native English speaking candidates who want to work, train, study at a secondary school or migrate to an English-speaking country like UK, Australia, New Zealand or Canada. The IELTS™ Exam encompasses Listening, Speaking, Reading and Writing tests, but the level, content, context and purpose of reading and writing tasks differ for the Academic and General Training Modules. Shiksha IELTS coaching classes in ahmedabad recommends that the candidate allow one and half month for IELTS™ Exam Preparation. IELTS™ Academics is taken four times a month and General Training is taken twice a month. IELTS™ registration is done online using a credit card. 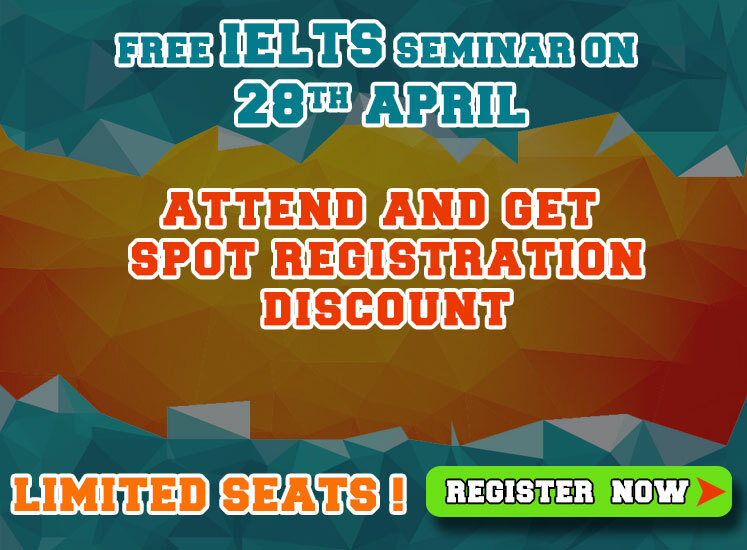 It is recommended to register at least one month before the date when you wish to take the IELTS™. Passport is mandatory for appearing for the IELTS™ test. 120 hours of classroom coaching sessions covering all parts of the IELTS™ Exam Preparation in Ahmedabad. Reference material for reading and grammar sections. One-on-one mentoring on Speaking and Writing Tasks. Access to Shiksha’s library, recorded CDs/tapes for listening comprehension practice and practice material during the tenure of the student’s I-card validity. Doubt cracking sessions with instructors. Regular tests for monitoring the progress of each candidate. Viewing of English classic movies. Discussions about test taking strategies.